Looking Into a New Tub? Many hours of childhood enjoyment happen in the tub. You may have had bubbles, toys, finger paints or even color changing fizz tablets. Trying to recapture the bliss of those memories in a less than accommodating tub can leave you very disappointed. When looking at bathroom spaces think about what you desire your tub to possess. There are multiple tub styles to choose from on the market. Although your bathroom layout may dictate the tub size and location; the functionality you need may lead you to certain features. The search for a tub that meets your needs and appeals to your style can be quite an adventure. Whether you are shopping a showroom, home improvement warehouse or online the sheer number of choices may have you running away screaming. Having pictures of your current space and styles that appeal to you can help narrow down your search. When browsing display models in person, go ahead and bring your questions and ask for advice. If you are online shopping take advantage of customer reviews and ratings. When you narrow your search down to a particular style, the decision making may be simplified. Deciding to go with one type over another may be a matter of your personal preference. The existing bathroom footprint may also influence it. One of the most common tubs out there is the alcove tub. A three-wall surround characterizes it, often including a shower head for more bathing options. Another style is the freestanding tub, like the name suggests, is not attached to any surface. Freestanding bathtubs can have decorative features such as claw feet. Corner tubs can save quite a bit of space in smaller bathroom floor plans. Undermount tubs enable you to tie the entire look of the bathroom together by bringing the floor tile up around the bath itself. Functional options such as jetted tubs can add to the bathing experience. Larger soaking tubs are great for those who need to bathe more than one kid at a time or a larger pet. Keeping the water warm is always a struggle unless your tub is equipped with technology to keep your water at a comfortable temperature. Whatever your budget, you can find bathtubs to fit your needs and ensure you make new relaxing memories. Visit your local open houses or model homes to see what is new in the tub market. 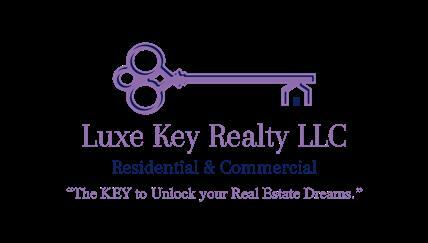 Olga L. Rodriguez, Realtor I am a customer-service-oriented real estate agent who helps home buyers and sellers in Florida, in the cities of Miami, Kendall, Coral Gables, Hialeah, Palmetto Bay and Miami Beach. If you're looking for an agent with patience, perseverance, and a passion for helping people, you've just found her! My working experience I received my real estate license in 1986. Since that time I have worked in the real estate field both part time and full time. When raising my children I worked as a teacher and part time real estate agent. 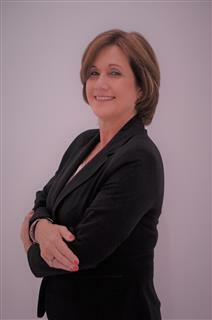 I have also worked as a real estate paralegal, and appraiser. Working as a teacher I learned the skills of patience, perseverance, and being organized. My paralegal experience allows me to efficiently explain legal documents to my clients. The knowledge that I gained from working as an appraiser allows me accurately price the homes of my sellers and advice my buyers on the price of their purchases. My love for math, negotiating, business and my passion for helping people has led to choose real estate as my preferred profession. As a realtor I can truly say, "I love my job”. What Makes Me Different from Other Agents Service: I strive to exceed my clients' expectations in all aspects of the real estate process by providing excellent customer service and effective negotiating practices. Education: Success in real estate starts with education. You have to understand the nuances of the local market, the dynamics of supply and demand, and how these things affect buyers and sellers. I make sure that my buyers and sellers are well informed at every step of the process, so they can make smart decisions. Contact: Buyers, sellers and renters have a lot of questions during their real estate transaction. I let them know what is happening every step of the way during their real estate transaction. I am available at all times and can be reached by phone, text, or email. A Smoother, Less Stressful Real Estate Experience Buying, selling or renting a home can be exciting, but it can also be stressful. That's why I work extra hard to keep my clients informed, and to make the process as smooth as possible. In my free time I enjoy traveling, visiting new cities, states and countries. I also enjoy swimming, cycling, and boating.